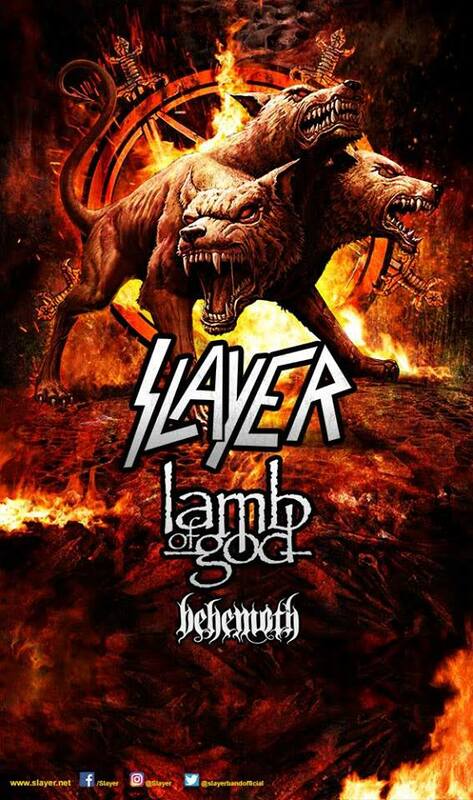 SLAYER – Headlining Tour With LAMB OF GOD And BEHEMOTH Begins July 12th! SLAYER will be headlining around twenty dates this summer. With Special Guests Lamb of God and Behemoth, the tour starts on July 12th in Bemidji, MN and wraps up in Phoenix, AZ on August 20th. LONG LIVE LAMB OF GOD. This entry was posted on March 4, 2017 at 1:03 pm and is filed under Hard Rock, Heavy Metal, Metal, Music, news, rock music, world news with tags behemoth, Heavy Metal, Lamb of God, metal odyssey, Slayer, Thrash Metal. You can follow any responses to this entry through the RSS 2.0 feed. You can leave a response, or trackback from your own site. Holy crap, that tour is designed to destroy every barn they play.